L’Oréal Paris, the world’s leading beauty brand, launched the ‘Ambassador of Fashion’ platform, a brand new beauty and fashion collaboration in Pakistan with coveted hair color brand Excellence Crème as its flag-bearer. 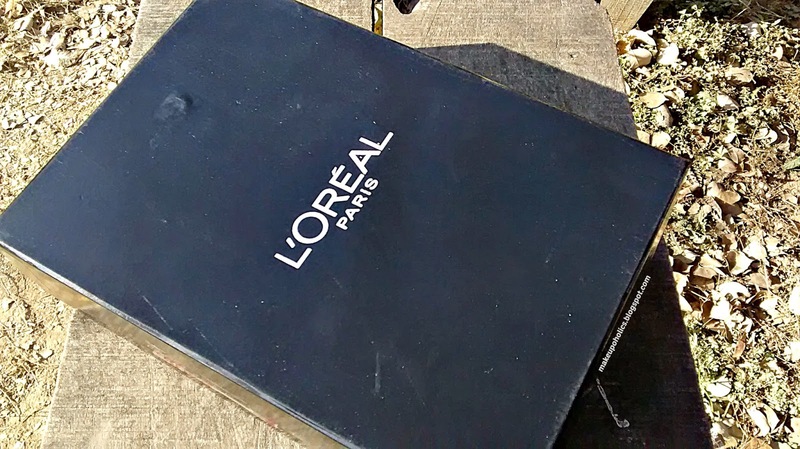 The vision behind the collaboration is for L’Oréal Paris Excellence Crème, as the ambassador of fashion, to engage with dynamic Pakistani fashion to introduce all-encompassing beauty and fashion trends. 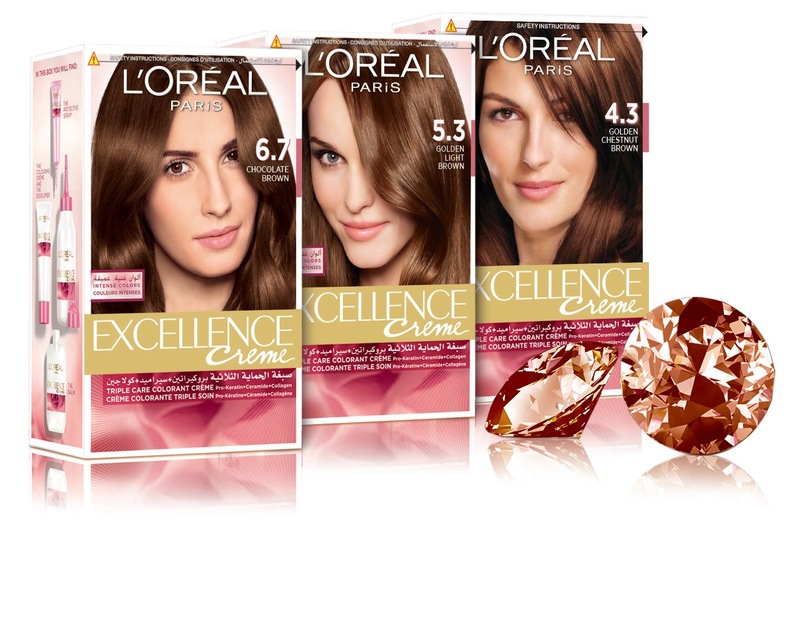 L’Oréal Paris Excellence Crème reveals their Gemstone Collection, inspired by the Rare Andalusite Gemstone. This new range comes in three magnetic Andalusite Brown shades which have been developed with an exclusive mix of cool & warm pigments while providing the signature Excellence Crème triple protection. 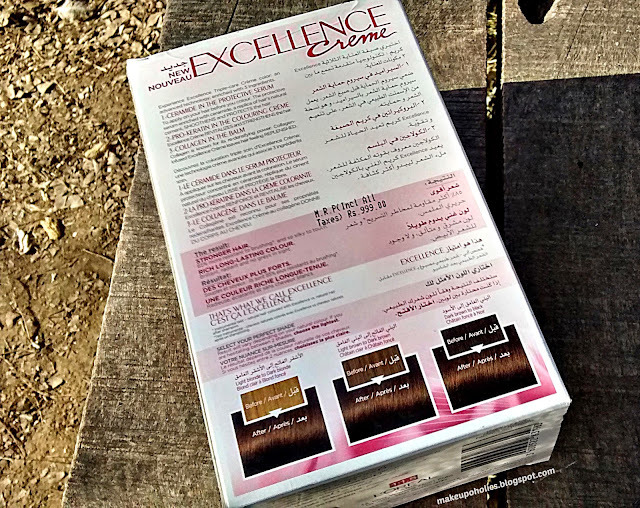 With inclusive applicator instruments specially designed to create the ultimate Exquisite Browns look from the comfort of one’s home, the collection comes in three distinct shades: 4.3 (Golden Chestnut Brown), 5.3 (Golden Light Brown) and 6.7 (Chocolate Brown). 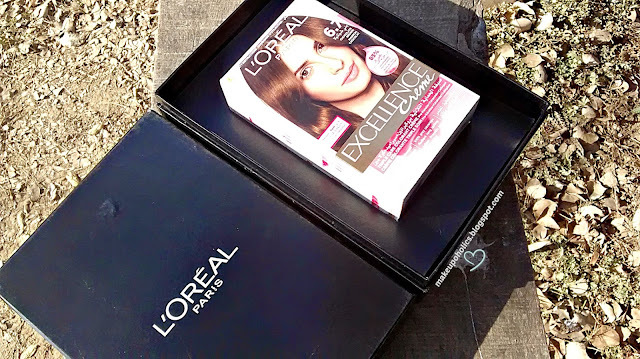 Speaking about the launch of the new L’Oréal Paris Excellence Crème Gemstone Collection and the ‘Ambassador of Fashion’ Platform, General Manager (Consumer Products’ Division) at L’Oréal Pakistan, Moazzam Ali Khan said, “With a legacy which spans over 100 years, L’Oréal Paris is not just the world leader in beauty, but is also a brand which through its pioneering innovations in make-up and specifically in hair care, has created a marriage between beauty, fashion and glamour. Through targeted initiatives such as our strategic partnership at PFDC L’Oréal Paris Bridal Week and now through our association with Nomi Ansari, we are seeking to further augment the relationship between fashion and beauty the unique L’Oréal Paris way. As a leading fashion designer who’s renowned for his use of dynamic colors, Nomi Ansari was but a natural partner for us to collaborate with on the new Gemstone Collection from Excellence Crème. We feel that this collaboration will go a long way in establishing Excellence Crème and towards cementing the brand’s credentials as being the ‘Ambassador of Fashion’”. “The ‘Ambassador of Fashion’ platform from Excellence Crème is a remarkable way of blending fashion and beauty. We came up with three looks, very sensual and elegant, to complement the Gemstone Collection from Excellence Crème. 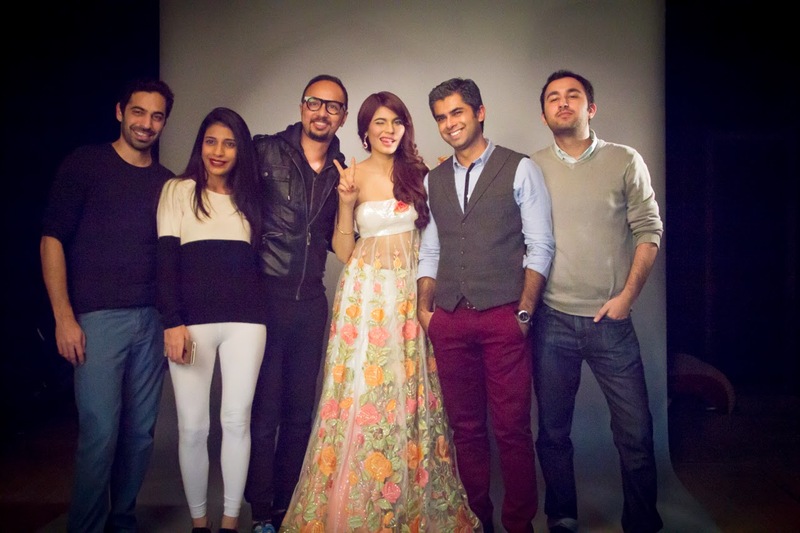 Certain things we kept in mind – it has to be beautiful, it has to be gorgeous and it has to be very current!” said Nomi Ansari on his collaboration with the L’Oréal Paris Excellence Crème and the Gemstone collection. 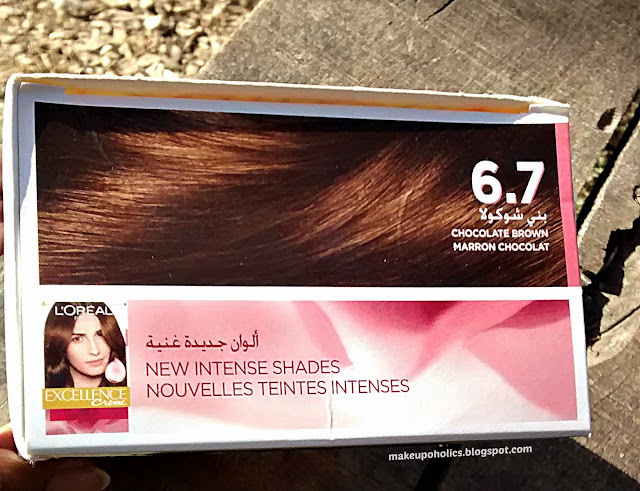 From my previous Hair Coloring posts , you all may know that how crazy I can go for hair coloring . I absolutely love to change the color of my hair. Being a Mom of a hyperactive toddler , hair dying was never an easy job . But not this time ... Finally a super easy way to get a desired hair color without making a mess. 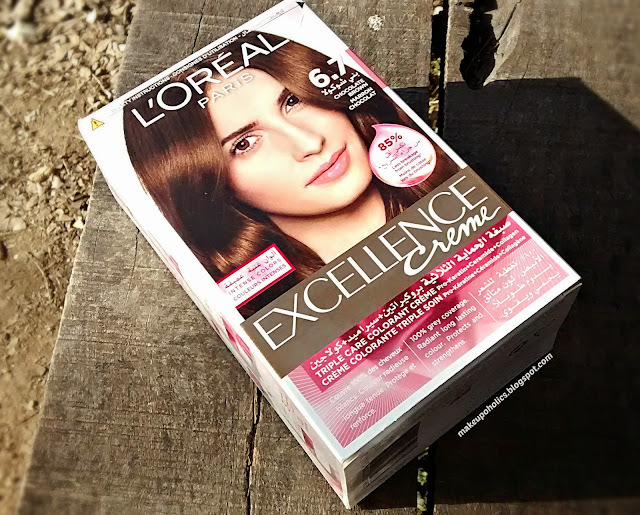 L’Oréal Paris Excellence Crème Gemstone Collection In 6.7 (Chocolate Brown) is such a gorgeous shade . I got like tons of compliments after using it and the shine and gloss of my hair is simply amazing . Super easy and super shiny , that's how can you define this amazing shade . 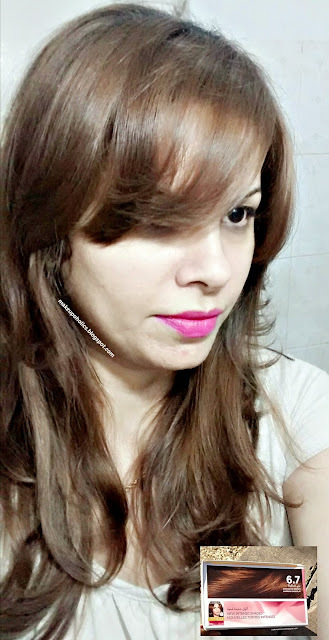 Do wash your hair and let them completely air dry before dying to get the maximum results . 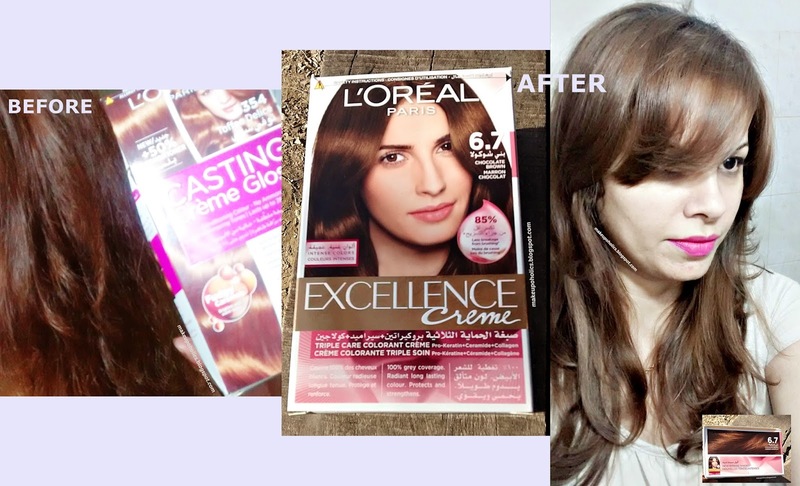 To get the maximum results , its better to leave the color for a little longer then the time mentioned on the box. Wash your dye with a normal not so warm water ... hot water will not only damage your hair but will reduce the gloss and color in your hair as well . Thank you for stopping by. Would you like to follow each other? This color suits you so well! Great review! aww i love your hair, you look gorgeous! what is actual colour of ur hairs? 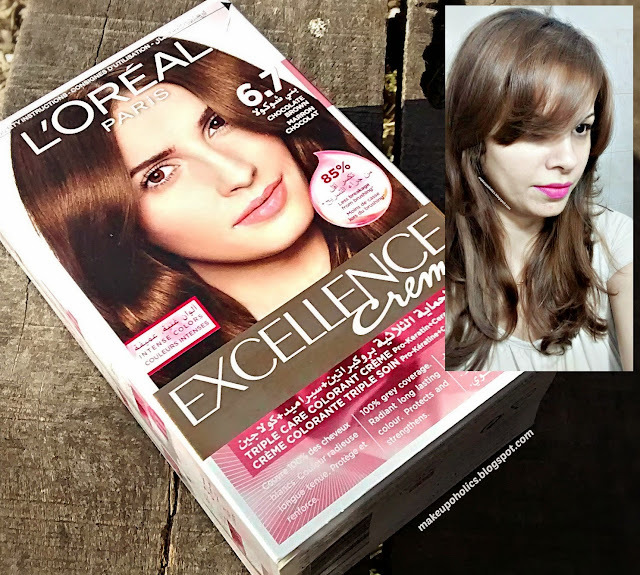 I am so nervous i want to dye my hair dark blonde..but are the excellence creme colors od loreal saf i dont want to harm my hair ? Time period of this color?? How many month or week it stay on hair? Thanks for the review! It's really helpful. I've been looking for something like this for my mother, but I couldn't find anything online, until now. http://just4girls.pk my friend told me about this website, and i wanted to ask you if you've used it.